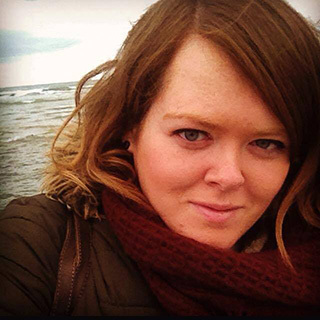 I am a stage-manager born and raised in Dublin. In 2003, I moved to Cork in the south of Ireland to study Drama & Theatre Studies and English at university, and had my first experience of falling in love with and exploring a city that wasn’t my own. I have worked in theatre ever since, splitting most of my time between Cork and Dublin, but also touring shows around the world, giving me a huge appetite for travel. In 2013 I moved to Toronto and truly adopted it as my second home, exploring every neighbourhood nook and cranny, using a series of excellent blogs as my guide. Returning to Dublin in mid-2015, I vowed to treat my home city with the same sense of adventure that I had treated a foreign one, and indeed found a much-changed city to the one I had left. As we slowly recover from recession, an exciting new cafe or arts event seems to pop up every week, and I am truly excited to be home. Dublin has an inimitable spirit, one that I missed very much while I was away. Its people, and the way that we interact and have fun with others is something that I have learned just doesn’t exist elsewhere. These days, Dublin has the luxury of being a major cosmopolitan city while also having the most breathtaking mountains, coastlines, hiking trails and getaways a stone’s throw from the bustling city centre. A relatively small city, you can pack a huge amount into a very short time and experience the best of both worlds. Dublin is a city steeped in history, with this centenary year of the 1916 Rising being a major focal point and tourist attraction at the moment. Much of our original, stunning Georgian architecture remains, along with incredible cathedrals, museums, cultural institutions and old stomping grounds of Irish legends such as James Joyce, W.B. Yeats and Samuel Beckett. There is truly something for everyone here. And very importantly: GUINNESS. Arctic Stone – Hand-rolled ice-cream hits Ireland! DiFontaine’s – Pizza with a side of dancing!